You've got your app working, now you need to make it look great. 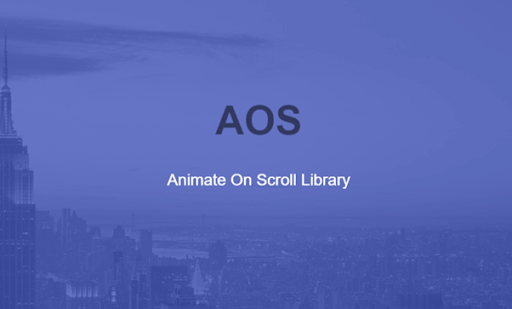 Check out these great libraries that can help add all kinds of cool effects to your app. If you want to add forms on your website with autocomplete features, this is the library that you should use. It is accurate and fast. We specifically loved the map feature which allows you to add a map in the address field for searching locations. 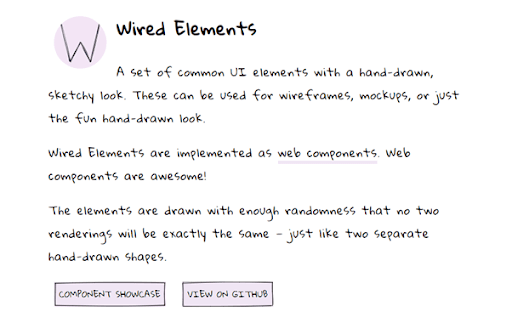 Licensed by MIT, this CSS library provides developers a collection of predesigned elements enabling better and faster web development. 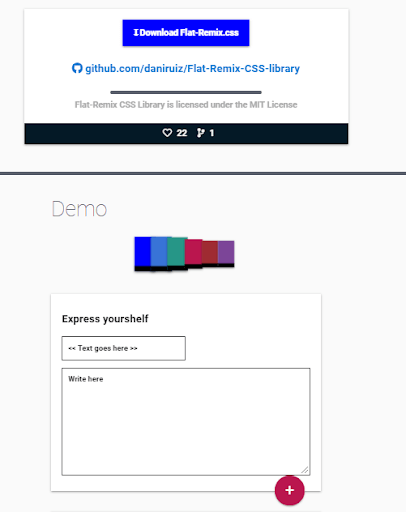 The elements in the library follow the latest UX trend of sharp borders and high contrasts. If your aim is to display external media content, like videos or tweets, without disturbing the privacy or your site, Embetty is your solution. By adding tags like embetty-video or embetty-tweet and mentioning the type, you can add your desired media elements. Nowadays, many people prefer full-screen videos instead of static images as a background. 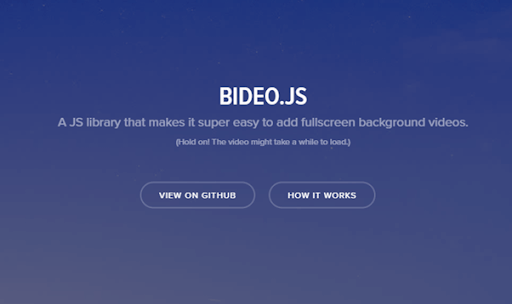 Bideo.js is a library that enables you to add responsive full-screen videos as your page background with very little coding. 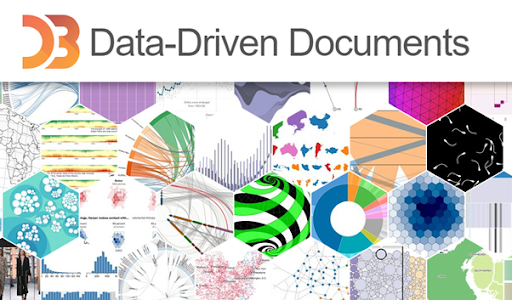 Ever wondered how the users of your site will feel if the site’s forms formatted the content. For example, transforming 0204142277 in the phone number field to (020) 414-2277. 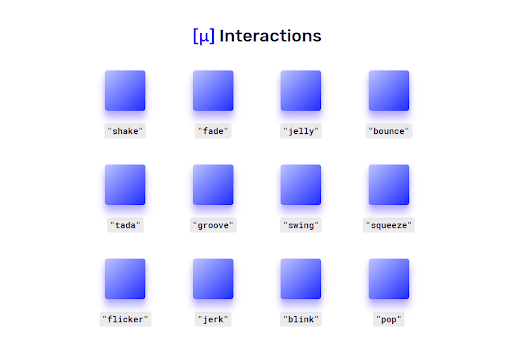 Cleave.js translates this simple concept into a unique user experience. This math library comes with extensive functionalities like an expression parser and also allows the developer to work on units, fractions, matrices, and other critical mathematical functions. 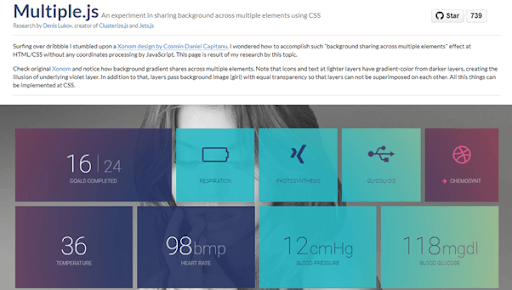 Box-shadows are the latest feature of CSS3 and popular for their cross-browser compatibility. However, when using this library, you can easily add box shadows to the elements used in your website with very little code. What makes it more exciting is that you can also add hover effects that transform the shadows. 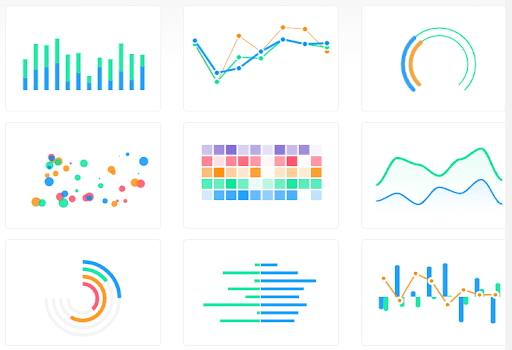 If you love data, you will love this library, which manipulates static content and brings it to life by using CSS, HTML, and SVG effects. Why Would You Even Want to Put CSS in JS?